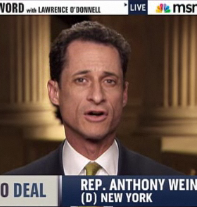 On Mediaite: Democratic representative Anthony Weiner debated Republican Phil Roe about the looming possibility of a government shutdown on MSNBC. They managed to do all their arguing without resorting to screaming, but there were some amazing metaphors courtesy of the gentleman from New York. To wit: “The straw that’s stirring this drink are the Tea Party nihilists who just want the government to shut down.” Get the full post here. 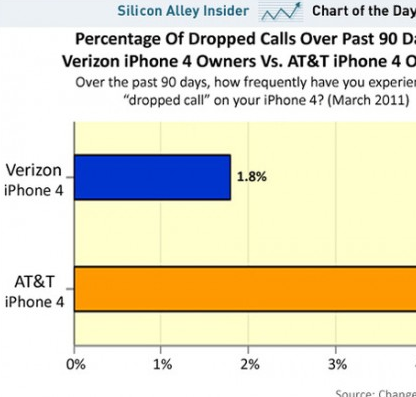 Geekosystem confirms what we all knew: Verizon’s iPhone drops fewer calls than AT&T’s. What did we all win? 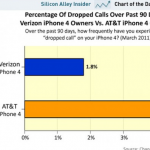 To read the full post and see a bar graph, click here. Styleite covers a loooooong overdue leap forward in maxi pad technology: custom designs! Because aesthetics are what most women are looking for in a maxi pad. Luckily, Patricia Field is here to help us feel insecure about our non-custom-decorated maxi pads. 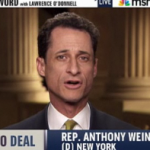 Get the full post here. 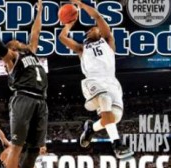 Sportsgrid analyzes Sports Illustrated’s NCAA cover. Spoiler alert: the magazine is rightfully mocked for its unimaginative copy. “Top Dogs,” indeed. To read the full post, click here. This is exhausting! 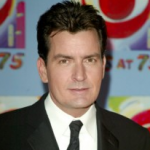 Gossip Cop reports that Charlie Sheen is attempting to trademark 22 phrases, including “tiger blood,” “vatican assassin,” and “duh, winning.” We did this, internet. All of us. 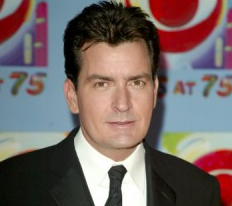 Get the full list here. 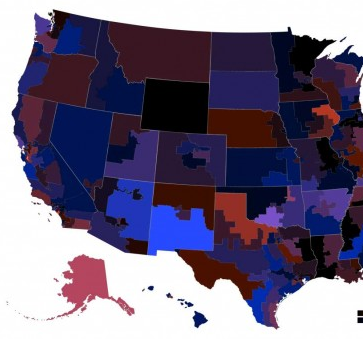 On The Mary Sue: someone has taken a map of the U.S. and replaced the states’ names with the most frequently occurring words on online dating profiles in the area. The takeaway: Wyoming is the loneliest state. Aww! See the other maps here.